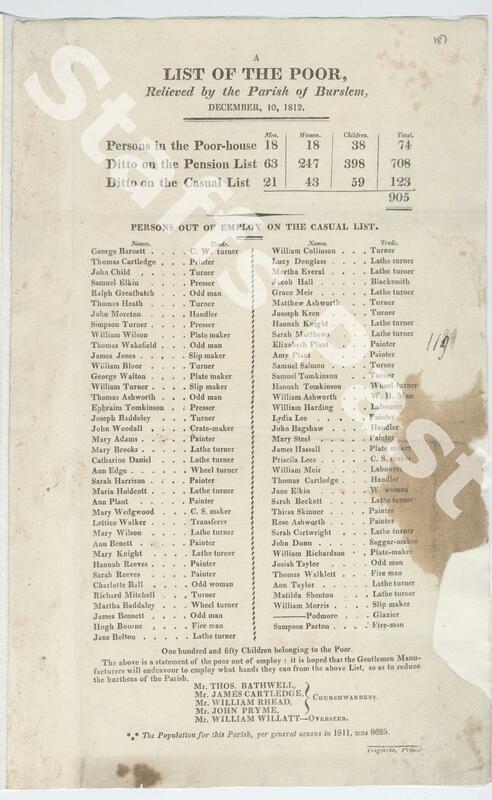 Description:In the early 1800s the Parish of Burslem was responsible for organising poor relief for the townspeople. Local printer John Tregortha regularly produced an account of all out-of-work potters in the area, plus numbers of all known people in need. 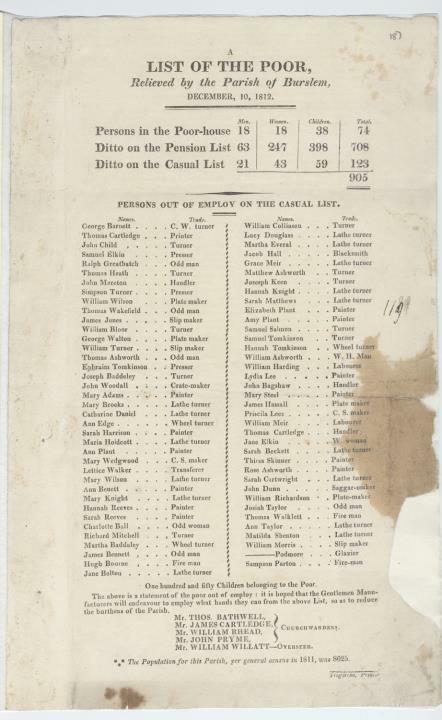 It must have been a grim Christmas for many of the workers whose details also appear on the list for January 1813. At this time, the situation was desperate. Many years of war with France had damaged British trade with Europe. This was because the French emperor Napoleon had banned all British goods from entering European ports. No trade meant no work for many of Burslem's potters. The situation was made worse by three years of bad harvests, which led to shortages of food and high prices at market. Sampson Parton - Fire man. Pottery manufacturer Enoch Wood kept this document in his own scrapbook, which is now among the collections of Stoke-on-Trent Museums. Whether he managed to find work for Burslem's unemployed, we do not know.